Our third city on the trip was Valencia, which also happens to be the third largest city in Spain. 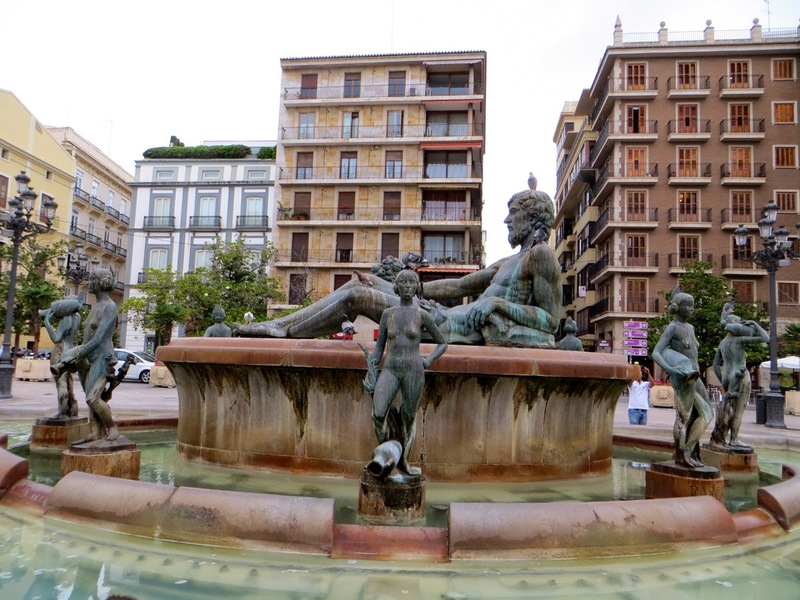 We stayed in la Plaza del Ayutamiento, right in the city centre. Two sides of the downtown area are surrounded by Jardín del Turia, a city park alongside the Turia river. The above photo was taken in Plaça de la Mare de Déu, the plaza next to the city's cathedral and basilica. 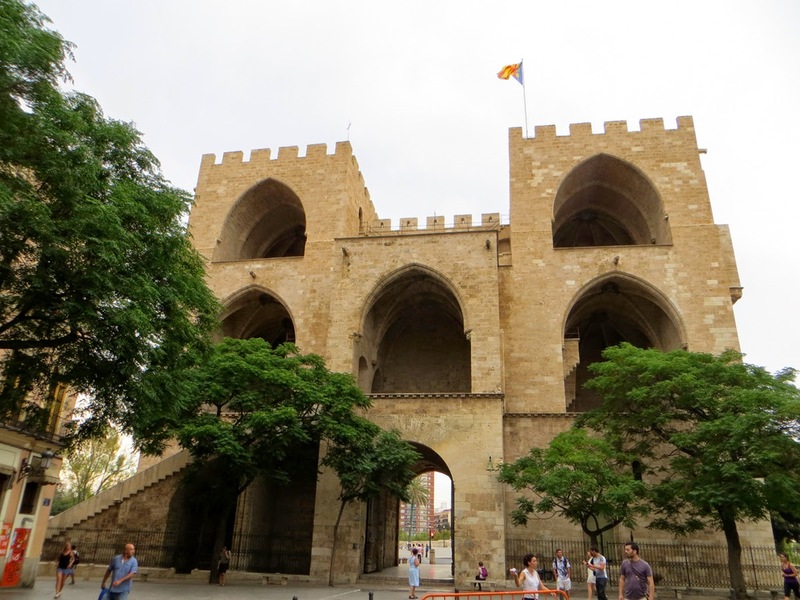 The city is full of old remnants, with one of the most iconic being the above Torres de Serranos from the 14th century, historically used as Valencia's main entrance, being one of twelve gates in the old city wall. About half an hour away from the downtown core lies a cluster of futuristic buildings known as Ciutat de les Arts i les Ciències (City of Arts and Sciences). Among these buildings are Palau de les Arts Reina Sofía (Queen Sofia Palace of Arts, top left) and L'Hemisfèric (top right), an IMAX theatre, planetarium and laserium. Mike and I went to L'Oceanogràfic, the aquarium in this area. We particularly enjoyed walking through the shark and rays tube, as well as watching penguins waddle around. But alas, I spoke too soon. It wouldn't be a real Guimond vacation without a bit of rain (or in this case, buckets and buckets of rain accompanied by lightning and thunder). 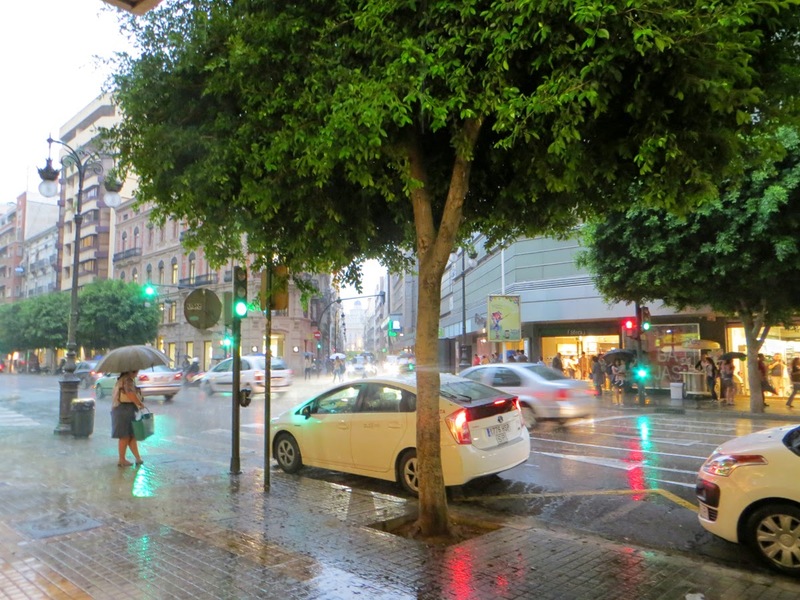 We were out shopping and got caught in a downpour and had to race back to the hotel. At least that held off until we had seen most of the city!